Woo Hoo! 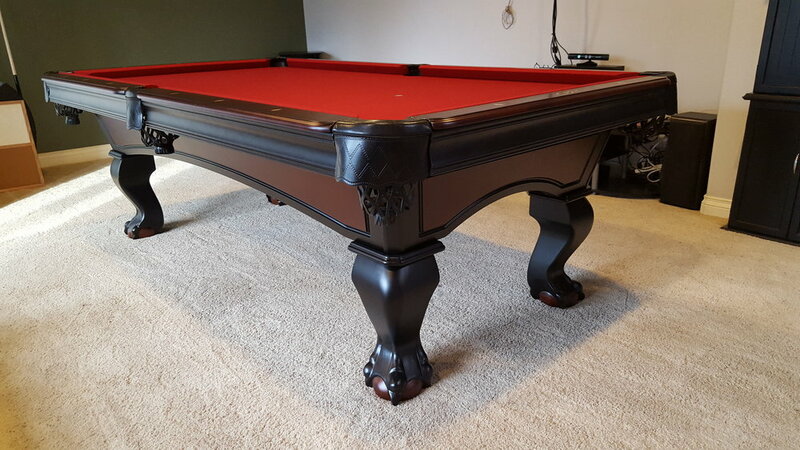 Got my pool table! I got the King Herod with burgundy felt. Gorgeous! Fun Times! Josh and Gary were awesome! The installers were very informative and nice. I can check another item off my bucket list. The claw dragon feet go well with the theme of the family room. Thanks so much ! the table is smooth and fits perfectly.